As an extension of the North American Leaders Summit which was held in February, the defense ministers from the U.S., Canada and Mexico quietly met last month to discuss continental security issues. During the conference, they addressed shared defense and security challenges. This includes threats posed by cyber attacks and transnational criminal organizations. The North American security relationship has evolved with Mexico being increasingly viewed as a valued part of the continental defense team. 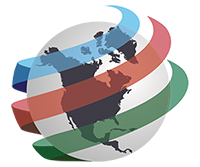 The U.S., Canada and Mexico are building the framework for greater cooperation on common security issues. They are expanding security arrangements and are further establishing new institutions at a continental level. 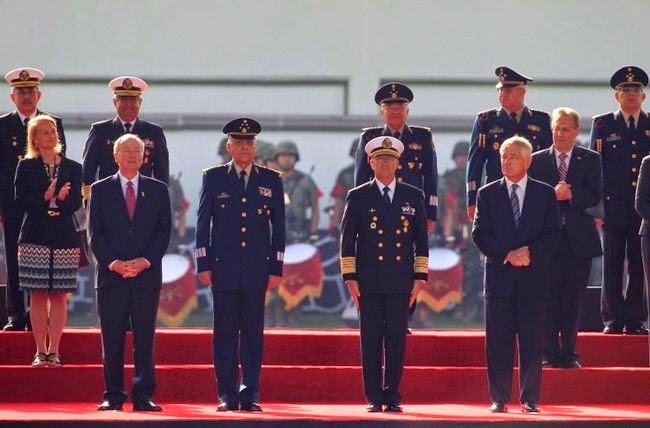 The trilateral defense ministers meeting, which received very little media attention is part of the process of integrating military planning and coordination into a North American security perimeter. 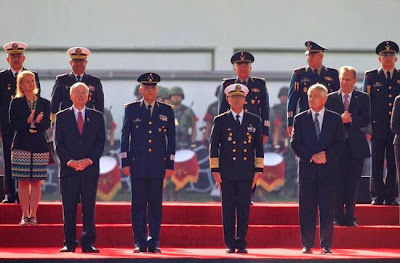 On April 24, Mexico's Secretary of National Defense General Salvador Zepeda Cienfuegos and Naval Secretary Admiral Vidal Francisco Soberon Sanz hosted the Second Trilateral Meeting of North American Defense Ministers with their counterparts, U.S. Secretary of Defense Chuck Hagel and Canadian Defense Minister Robert Nicholson. A joint statement explained that, “Threats to North America and the hemisphere are increasingly complex and require coordinated responses. Building upon the trilateral collaboration under the North American Leaders Summit process, we remain committed to enhancing our common understanding of those threats and developing effective and efficient approaches needed to address them.” It went on to say, “With this foundation, our countries continue to work together to address the security and defense challenges that our continent faces. We acknowledge that transnational threats require transnational responses and are committed to furthering our collaboration.” The Inaugural Meeting of North American Defense Ministers was held in March 2012. In his speech which focused on security issues facing North America, Secretary Hagel further elaborated on how the trilateral defense meeting is, “moving beyond the concept stage and is becoming a venue to develop new opportunities for deeper collaboration and new approaches to more effectively address shared threats and challenges. We have identified important areas where we can work together as equal partners. As we move forward, the discussions today will further strengthen the foundation for continued cooperation in meeting defense and security requirements for our three nations.” In order to continue their important trilateral dialogue, Secretary Hagel has offered to host the next defense ministerial in 2016. Increased U.S. interest in continental defense continues to have an impact on Canadian and Mexican security policy. Both countries are further adopting American security priorities, which raises concerns regarding sovereignty. Under the guise of stopping drug and illicit arms trafficking, the U.S. seeks to further extend its military and security apparatus into other regions. The trilateral defense ministers meeting is part of the ongoing efforts to establish a fully integrated continental security perimeter and represents another important step towards a North American Union.